Notorious for his cruel and deceitful fighting ability, Hisoka has proven to be deadly. His deviousness and volatility has made many opponents have difficulty anticipating his next move, and this has led to him winning many battles. Using Shu powered poker cards as his primary weapon, he throws them with ease and deadly accuracy. Also, he is very intrigued by Gon and the potential this young boy has to become an adept and powerful adversary. 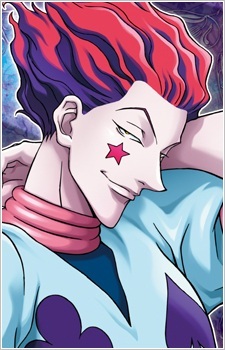 Hisoka, ever looking for a strong opponent, is willing to aid, or at least not defeat prematurely, someone that could develop into a future opponent.